A evening of Song, Dance, and inspiration FOR WOMEN ONLY! 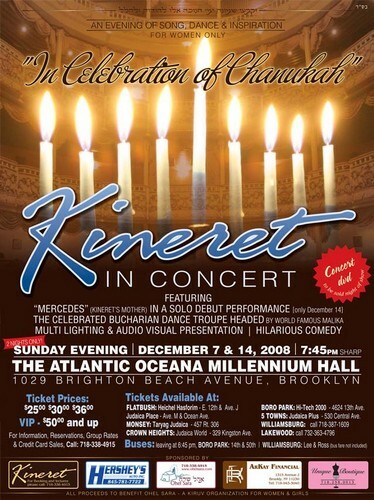 “In celebration of Chanukah” Kineret in concert featuring “Mercedes” (Kineret’s mother) in a solo debut performance (December 14 only!) 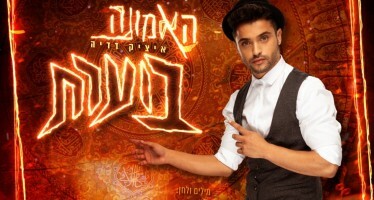 The Celebrated Buchrian Dance Troupe headed by world famous Malka, Multi lighting and audio presentation, Hilarious Comedy. 2 NIGHTS ONLY! Sunday evening December 7th & 14th 2008 7:45pm Sharp! at the Atlantic Oceana Millennium Hall-1029 Brighton beach Ave. ticket prices: $25, $30, $36, $50, & VIP. For Information, Reservation, Group Rates or Credit Card Sales please call 718-338-4915. 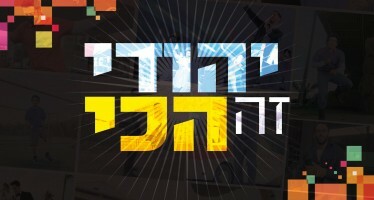 The dvd for this event is out! !